Pelush is based in New York and helmed by Milanese designer Anna Tagliabue. Everyone loves Gucci these days, so you're going to have to try a little harder to sound original when naming off your favourite labels. For starters. try Pelush. Based in New York and helmed by Milanese designer Anna Tagliabue (who's worked as buyer and stylist for haute brands like Prada), this line of sumputous faux fur pieces is poised to dominate the growing market for man-made pelage. Then there's Self-Portrait. Ellie Goulding, Rachel McAdams and Kerry Washington are among the fans of London-based designer Han Chong's intricate guipure lace offerings, including pieces created exclusively for e-commerce giant Net-a– Porter. Finally, study up on Zvelle, a Toronto footwear brand helmed by creative director Elle AyoubZadeh who produces her colourblocked creations at a family-owned factory in Brazil. – O.P.P. Everyone's eyes are on the fashion choices of the Prime Minister's wife, particularly because Sophie Grégoire-Trudeau kicked off her tenure wearing an Erdem resort look for her husband's swearing in ceremony. Though some say her choice to wear Oscar de la Renta in the pages of Vogue was a misstep (Why wasn't she wearing Canadian? Because it's Oscar and it's Vogue, duh), we have faith that as her profile on the world's stage builds, so will her sartorial sensibility and homegrown designer-loyalty. If she really wants to make a splash at the upcoming state dinner in Washington this March, a turn in Montreal-based brand (and winner of this season's Mercedes-Benz Start Up competition) UNTTLD's bold obi-belted little black dress should do the trick. – O.P.P. Think of oil as your beauty cabinet's most valuable resource. Lauded for packing a vitamin and antioxidant punch, and for aiding in calming inflamed skin, battling acne, reducing fine lines and lessening the look of hyperpigmentation, natural beauty oils are a virtual cure-all. Of course, they also hydrate. "Oils are the perfect booster when you're looking to add more moisture," says Dr. Julia M. Carroll, a Toronto-based dermatologist. "Whether you want to hydrate acne-prone skin or boost radiance." Despite how celebrated beauty oils are in the industry, though, they still get a bad rap on the streets, especially from those who think their oily skin should steer clear of oils. 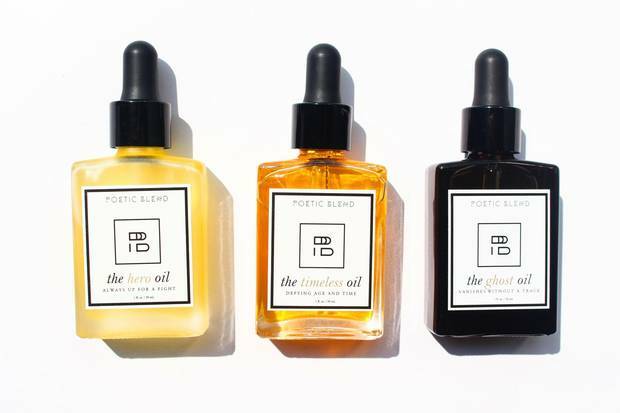 "One of the most fundamental concepts in chemistry is 'like dissolves like,'" says Mikayla Tran, owner and creative director of Poetic Blend, a line of natural beauty oils. "By using the right kind of oils, you'll not only cleanse your skin of environmental pollutants and makeup, but also replace the dirty oils with nourishing ones that are extracted from plant-based botanicals." So go on and oil up. – M.R. P.J. line The Sleep Shirt. In contemporary design, ceiling height seems to grow as floor space shrinks and that can make finding – and hanging – properly scaled art a challenge. 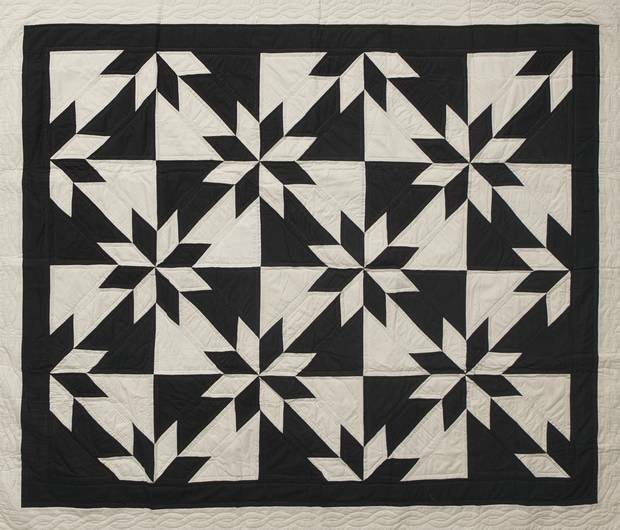 Luckily, the newest trend in wall decor, modern quilts, is both increasingly ubiquitous and easy to mount. Click through the textile options on any number of stylish web stores (sites for Brooklyn-based Haptic Lab and French apparel label A.P.C. are good places to start) and you'll spy blankets in tonal palettes and geometric patterns that look handsomest suspended from a thick wooden dowel over a sofa or next to a staircase. Toronto's Lindsay Stead creates subdued options that Globe Style design contributor Anya Georgijevic recently likened to Agnes Martin canvases, while pajama line The Sleep Shirt has added updated takes on traditional Amish versions to its lineup. And unlike its decor trend predecessor, the macramé wall hanging, these throws will easily transfer to the base of your bed should you want to hang up something more solid in the future. – A.S.
Bocci pendants at the line’s new Berlin headquarters. The Canadian contemporary design company that could, B.C.– based Bocci, is kicking off its second decade in business with a new exhibition space and satellite studio in Germany. 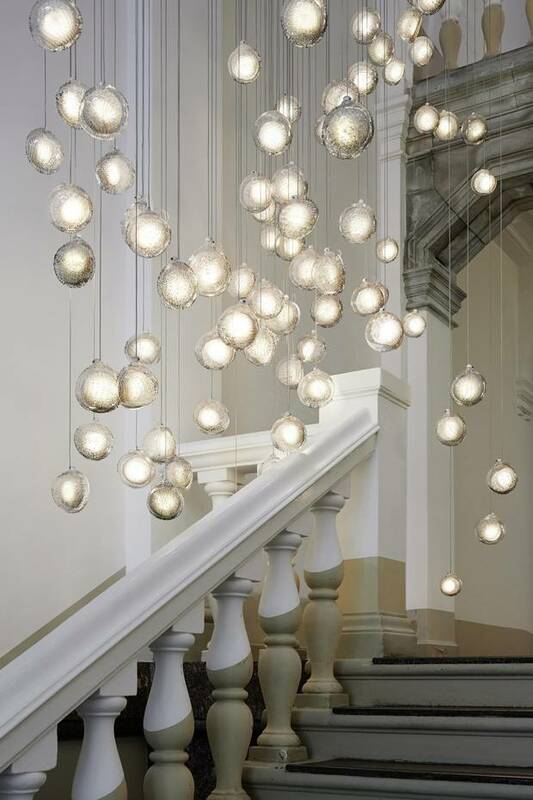 Launched in November in a converted 1896 West Berlin courthouse, Bocci 79 is a "living archive," according to the company's creative director Omer Arbel (who, by the way, will appear as part of Globe Style Saturday at Toronto's Interior Design Show on Jan. 23). To that end, the multi-storey space is hung with examples of the company's sculptural lighting, both pieces that have gone into production – like its blown glass clusters and tree-like fixtures – as well as prototypes that didn't. Over the next decade (since the Bocci website lists the showroom's hours up until Nov. 6, 2025, its time at Kantstrasse 79 seems quite finite), Arbel plans on opening a porcelain studio in the space and hosting events with local and international partners. If anything is a sign of bold international expansion, this is it. – A.S.
A soulful Scandi space found in the book The Kinfolk Home. Much of interior design has fallen into two camps of late. On one side, you had a Scandi take on minimalism with its washed-out palette, hits of brass and an overabundance of plant life. On the other was the urbane farmhouse look outfitted with reclaimed everything, deeper hues and an overabundance of knickknacks. Now, you're starting to see those aesthetics crosspolinate – flip through the recently released book, The Kinfolk Home, or visit H&M spin-off & Other Stories in New York for proof – to create a new serene-but-cozy aesthetic. As is often the case with any eye-catching design statement, this look is all about juxtapositions: rustic cabinetry in blond wood instead of walnut; antique china sharing counter space with more sculptural vessels; and salvaged architecture that benefits from lots of natural light. In other words, it's a well-edited space warmed up – or a more cluttered one cooled down. – A.S.
Saks Fifth Avenue’s forthcoming collaboration with Pusateri’s. You'll no longer require an international plane ticket to nosh at a luxe food hall come April, when gourmet grocer Pusateri's Fine Foods opens sensorial food experiences in the first two Canadian locations of Saks Fifth Avenue. At Toronto's Eaton Centre, 21,000 square feet of retail space in the department store will be dedicated to international products, prepared foods and other goods for the home – expect to see everything from a wellstocked floral department to a version of the brand's impressive olive oil bar. And though a specific location is still secretive (Holt Renfrew is being buzzed about as a possible site), and an opening date is estimated to be anywhere from fall 2016 to spring 2017, the famous food emporium Eataly, which specializes in high-end Italian foodstuffs, will soon open its doors in Toronto. Expect to find Italy's best, from antipasti to torrone. – M.S. Rumours of a Prosecco shortage due to a poor crop in 2014 aren't having any affect on drinkers' appetites. Global sales of Prosecco have outpaced those of Champagne every year since 2013 and the wine's popularity is only continuing its climb. At home, sales are growing thanks to a handful of new players like Fiol and increased prominence of veteran labels, including Bottega and Foss Marai (with 5,000 cases sold, sales of the latter were up 93 per cent in 2015 and its Canadian distributor, Noble Estates, expects almost double that for 2016). Light and easy to drink, perfect for summer with a splash of Aperol, plus easy on the wallet when compared to other sparkling wines, this year every day can be a celebration thanks to Italian bubbly. – M.S. Loo king for a luau? In everything from home decor to pop-up restaurants, tropical accents and Hawaiian dishes are making their mark in mainland dining rooms and kitchens. At Noreetuh in New York's East Village, Spam is replaced by corned beef tongue, or used in new ways (in stuffed tortellini, for instance). For a more casual take on the cuisine, poke bowls are the new burrito bowls. 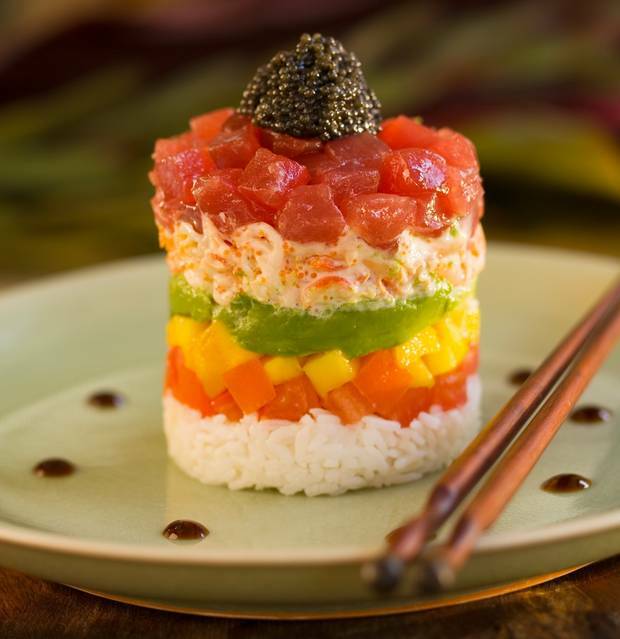 With staples of rice and raw fish (typically ahi tuna or salmon), and toppings often custom ordered, think of the bowls as sushi rolls before they're wrapped (Big Daddy's Poke Shack in Venice Beach does them particularly well). Recreate the dishes at a home dinner party and present them with pineapple-shaped serving platters and napkins adorned with palm leaves – both of which should be filling store shelves in early spring. – M.S. Gourmet pop tarts from Lindsey Bakes. 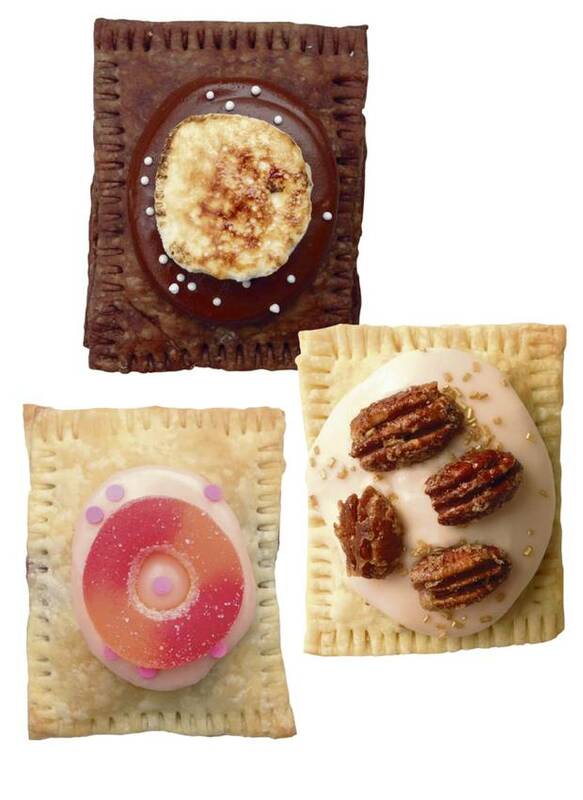 Is your toaster fancy enough to handle the new look of pop tarts? Signs that the pastry will be 2016's go-to gourmet junk food are popping up everywhere – from companies like Gap and Holt Renfrew using pop tarts to deliver messages about holiday campaigns to press (the latter employed the artistry of Toronto's Lindsey Bakes), to hipster cafés in New York, Portland and Los Angeles stocking fresh versions daily in their baked goods display (think sweet options like blackberry, and savoury ones that include bacon). Even Kansas City has three shops offering gourmet pop tarts. The creator of the toaster treat is not letting this revival pass it by. In late fall, Kellogg's announced new flavours for the classic pastry, including watermelon, maple bacon and chocolatey caramel. – M.S.